One week with our internet play update and we've already seen some incredible players! The top 10 are currently posted here. Of course in game you can see where you place. We're still waiting to see the top achievement earners! In other news a free version of RoboFighters is currently available. The free version is online enabled so you can still join in on the action online and off. So a note on what's hot. Robofighters is for the second week in a row! Thanks and remember to send us a note on how to make the game better. 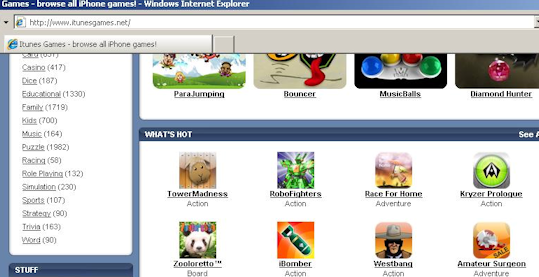 Looks like Robofighters is what's hot again for July 6th! The Robofighters update is pending Apple's approval so Internet play, cross game achievements and more are around the corner. Special thanks to the all of the current robo-fighters. If you have comments or questions send us a post. The 4K game servers just went live. Thanks to everyone who helped out with RoboFighters internet testing. The first robofighters update will be availible in the Appstore shortly! While there's much in store for RoboFighters updates, we currently could use some folks all over for beta testing the RoboFighters Internet multiplayer update in the real world. 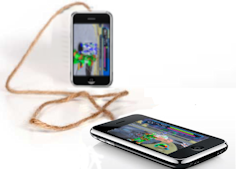 You would need an iPhone or iPod touch and plenty of string. 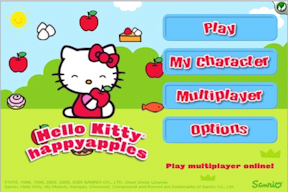 Contact us using the web form with the subject multiplayer. 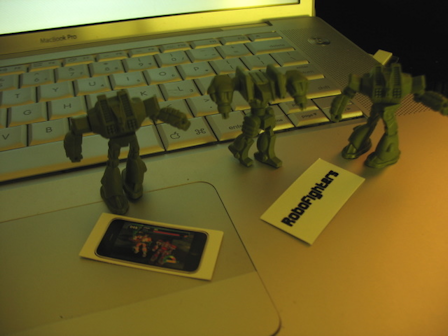 We got a box of these posable robot dudes we are giving away at E3 for the RoboFighters game. There's a few rare ones in the collection I've seen which are like little mega robots. There was also a tweet about our game being what's hot! 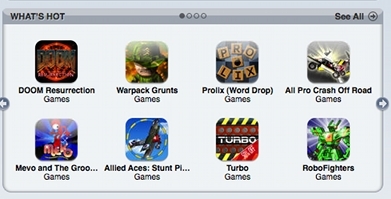 I managed to capture a screen of a cached itunesgames site. Hopefully it will be hot again - like extra hot. 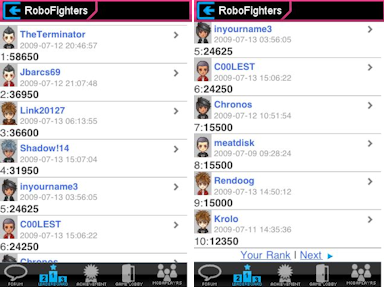 Based on user feedback there's a lot of great features coming up in the first update of RoboFighters. There was a fantastic review of RoboFighters posted over on iPhonefootprint.com. Check here to view the whole review. Also yesterdays talk with the wacky video game podcast, Dead Pixel Live is posted here . A quick video of robofighters main gameplay. A few videos showing minigames and multiplayer should follow. Travis will be talking with the live podcast Dead Pixel Live on the All games Network Today 5/26/09 6:30pm est about RoboFighters. Get insights on the game or call in to ask questions. Check it out. If you miss it the archived feed will be posted. Copyright © 2017 Team 4000 Software LLC. All Rights Reserved.